Darrell Issa and Republican Party’s IRS investigations: The GOP has broad support to investigate the scandal. It’s almost impossible for Republicans to overplay their hand on the IRS scandal. And they are just getting started. House Oversight and Government Reform Committee Chairman Darrell Issa leads a hearing Benghazi, Libya, on Capitol Hill in May. Ever since the Obama administration ran aground on a series of scandals, Republicans have been trying hard to go from zero to Watergate. No matter how hard they stomp on the accelerator, the car won’t go. On the left, there is a similar desire to go from zero to McCarthy. The main target: Rep. Darrell Issa, chairman of the House Oversight and Government Reform Committee, who has been investigating the attack on the U.S. consulate in Benghazi, Libya, and the Internal Revenue Service targeting conservative groups. On Sunday, Issa called White House spokesman Jay Carney a “paid liar,” in keeping with the Republican congressman’s general temperament, which is to accuse first and find the facts later. Democrats are trying to promote the idea that Republicans are overplaying their hand with these controversies. Several times, analysts have raised the specter of the 1990s House Republicans who took their party over the cliff with mad passion in the investigations of Bill Clinton. Republicans have not overplayed their hand. Unlike the late 1990s, they have the country with them in their pursuit of answers. Americans want to get to the bottom of the IRS mess, the issue that has prompted some of Issa’s extravagancies. New revelations, like this week’s disclosures about IRS profligacy, are offering fresh reasons for outrage, and the disciplining of two IRS officials for receiving gifts against ethics rules ratifies the investigations. New polls show that the country thinks the president is less trustworthy, so the chances the public will rush to his defense against the meanies going after him is shrinking. First, a little history: In 1998, Dan Burton, Issa’s Republican predecessor as chairman of the Oversight Committee, said, “If I could prove 10 percent of what I believe happened [about Bill Clinton], he’d be gone. This guy’s a scumbag. That’s why I’m after him.” That’s a lot worse than saying mean things about Jay Carney. Sen. Harry Reid once called President George Bush a liar. Rep. Joe Wilson yelled, “You lie!” during President Barack Obama’s State of the Union address. Issa has some distance to go before he reaches the current standard for bruising words. Burton once shot a watermelon in his back yard as a part of some home investigation into a dramatic theory he had about the suicide of Clinton White House aide Vince Foster. When you’re shooting the fruit, that’s overreach. If Issa starts going in for the gourds, we can reassess. The notion of overreach is based on the idea that Republicans will get so nutty that they will turn off voters in the 2014 election. Since that will be a nonpresidential year, the chance for overreach is already diminished. The electorate is likely to be filled with far more politically active voters. Die-hards have a greater tolerance for partisan circus acts. Still, you can go too far. There are two dangers: You either inspire the other side’s partisans to mobilize, or you present yourself as such a menace to the citizenry that you scare voters who might sit out the election, and they go to the polls to vote you out. The IRS scandal isn’t likely to encourage either of these outcomes. The public seems to think the matter is worth pursuing. Fifty-eight percent surveyed in a recent Bloomberg poll say Congress is spending the right amount of time on the investigation or should spend more. Forty-three percent of those surveyed in a recent NBC News/Wall Street Journal poll said IRS scrutiny of conservative groups was part of a widespread effort by those in government, compared with 29 percent who saw it as a case of a few officials acting on their own. Even 63 percent of Democrats want an independent prosecutor to investigate the IRS abuses. When it comes to other scandals, the public seems to think there’s enough smoke there, too. In a new NBC News/Wall Street Journal poll respondents were asked separately about Benghazi, the IRS scandal, and the Justice Department’s monitoring of journalists, and in each case at least 55 percent said the incident raised doubts about “the overall honesty and integrity of the Obama administration.” In January, self-described independents gave Obama high marks for being “honest and straightforward.” Now only 27 percent do. According to a recent Bloomberg poll, 47 percent of Americans say they don’t believe Obama is telling the truth when he says he didn’t know the IRS was giving extra scrutiny to conservative groups. (Forty percent say he is being truthful). In a nonpresidential election year where base motivation is even more important, the IRS investigations offer perhaps the greatest opportunity for Republicans to score free points in the history of politics. Grassroots Tea Party activists are invited to Washington to tell their stories of harassment and discrimination, and even Democrats have to tell them how wronged they were. Republicans can baste their supporters in love and vindication. Tea Party members have had their specific fears about government targeting ratified, and this week they’re getting more validation for their broader view about government bloat. An IRS inspector general’s report out this week catalogued roughly $50 million spent on agency conferences, with loose attention to cost in some cases. High-profile items in the report included $17,000 to hire an artist to paint portraits of Michael Jordan and Bono and $50,000 to produce videos that included a Star Trek parody. 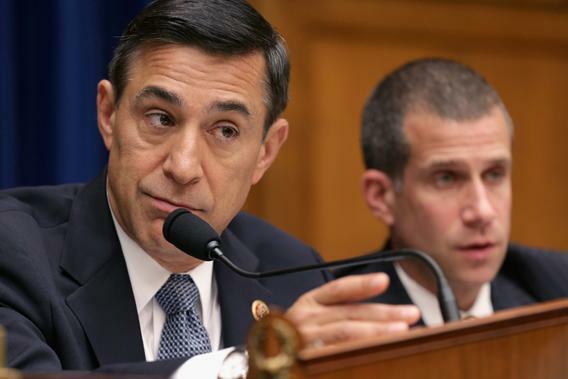 The long-term danger for Chairman Issa may not be overreach but ineffectiveness. When you overhype evidence, people will notice if you don’t have the goods, and ultimately you lose credibility. But we are a long way from that. Right now, the public wants Republicans to make their case.